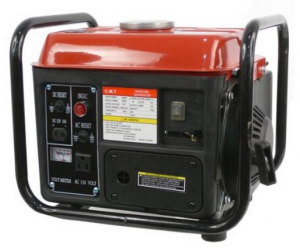 To have a generator at home for those times of experiencing a power outage is a great luxury. Many of them cost a high price while there are a few smaller units that can cost under a couple hundred dollars. You can find some basic choices online and at your local hardware store. 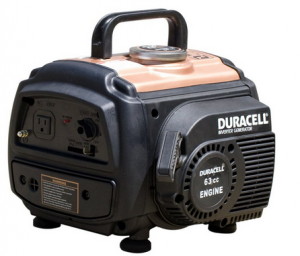 At around 1000-2000 watts you are likely to run little more than a few electronics or lights or one or two larger appliances, so really these are just for the very basics or maybe these inexpensive units are better suited for camping, RVing and tailgating. Generally generators in this price range garner lower ratings as they are often cheaper basic quality, noisier or customer service is lacking or they actually run lower output than rated or advertized, except the Champion genset, first up, which is the all round best! 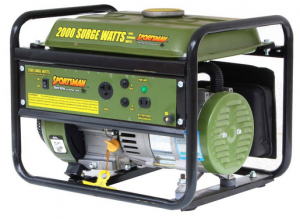 Here are some of the best generators under $200 on the market. 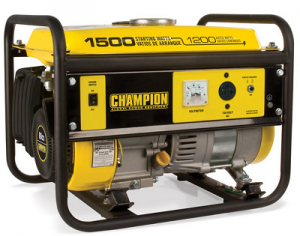 This Champion Power Equipment 42436 Portable Generator is quiet, portable, and lightweight at 56 pounds. It runs on 1,500 watts maximum output and 1,200 watts rated or running. It is carb compliant and is sold in the state of California. It has a low oil sensor and a volt meter to help protect the life of the machine. It is EPA approved and comes with a two year limited warranty. It runs on 10 hours on a full tank at50 percent load, giving you plenty of time to forget about fillups. The engine is protected in a cast iron sleeve and lasts longer. It has an overload protection as well. This generator earned 5 stars from Amazon reviewers and costs just under two hundred bucks, making this one of the best affordable generators online. This All Power America APG3004 Gas Powered Portable Generator has a two cycle 71cc 1.5 hp motor and runs on 800 watts continuous and 1,000 watts surge. It can handle giving power to your home and is ideal for camping or your RV. It comes with a battery charger with cables and a fuel gauge to monitor the gas level. It has a recoil start and gives off a low amount of noise. It is non carb compliant and is not sold in the state of California. It is lightweight and compact at 44 pounds, making it easy to maneuver it to where you need outdoor power. It comes with one 12 volt DC output and a 1.5 gallon tank that will allow the unit to create power for up to 8.5 hours, so this is quite efficient in fuel. The rated voltage is 115c and 60Hz at 10 amps. This Sportsman GEN154 Portable Generator generator has a 4 stroke 80cc 2.8 hp OHV motor and holds up to 1.8 gallons of fuel. It can run up to 11 hours at 50 percent load and runs quietly at 65 dba. It has a circuit protector and is EPA approved though it is non carb compliant. It is not sold in the state of California. It comes with one 120 volts outlet and one 12 volts DC outlet. It runs at 2,000 watts surge and 1,500 watts continuous. 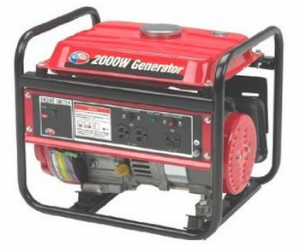 This item is one of the best cheap generators as it costs about $180 online. 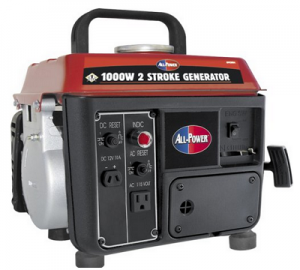 This All Power America APG 3014 Gas Powered Portable Generator has a 4 stroke 3 hp motor and it has a recoil start. Its low noise level is ideal for using at home at 68 dba. It comes with various outlets including two AC 120 volt outlets and one DC 12 colt outputs. It has a low oil shut down that helps protect the life of the engine. It weighs about 54 pounds and holds up to 1.32 gallons of fuel. It takes unleaded gas. Its frequency is 60Hz at 120 volts. It is non carb compliant and is not sold in the state of California. This machine received 3.5 stars from ore than 240 Amazon reviewers making this a good option for camping. It costs about $200 online. This Otech 1200 Watt Portable Generator runs on 1,200 watts surge and 900 watts rated. It received 3.5 stars from Amazon reviewers and it costs about $140 online, making this one of the best generators under $200. It has a two stroke 7.5 amps63cc engine and requires little maintenance. It runs up to 4.5 hours at 50 percent load and has a low noise level of 65 dba. It has carry handles for easy portability and comes with various accessories including a DC power connection terminal and a 110 volt AC outlet. It takes up to one gallon of fuel and has an easy start capability. There is a voltage capacity protector and a thermal circuit protector. These are all among the best generators under $200 available on the market. As many of them can be expensive, these small cheap generators manage to give enough power in cases of an emergency or for a camping trip.